This is an acrylic painting with changing colors. 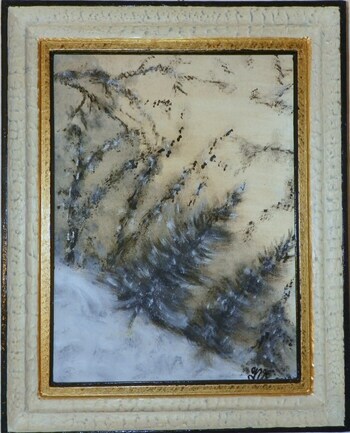 This is a Painting that was inspired by a stone called "dendrite". This stone has inclusions that look like a landscape under snow in the fog.